Mold is a very common problem in homes here in California, so it’s important to know how to check for mold in your home, especially if you have young children, elderly people, or pets. Those who have allergies can see a significant increase in symptoms when mold is present, so if you feel a worsening of your symptoms when you’re at home versus when you’re out and about, mold could be the culprit. If you notice a moldy odor, it’s also important to figure out where it’s coming from. Mold often hides out of sight, so even if you don’t see any signs of it, the nose knows when mold is present. 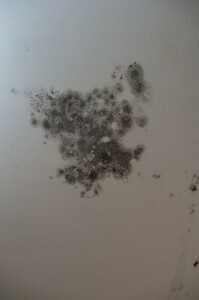 Mold occurs because of excess moisture caused by leaks, flooding, or condensation. Leaks are frequently hidden because they occur behind a wall, floor, or other surface. Even if the mold is clearly visible, there could easily be mold hidden behind a surface because of moisture seeping through. If your house has been flooded in the past, then mold is likely present in areas where water remained the longest, such as the basement. If you see condensation on glass windows or metal pipes in your home, that indicates that you have a high amount of moisture and could have a mold problem. It’s important to look for any sign of excess moisture, such as warped surfaces, water stains, or peeling paint. Behind these signs could be an array of mold. Also look for areas that could potentially be problematic, such as where pipes run, the air conditioner leaks, potential leaks in the roof, or where water collects after flooding occurs. Mold is commonly found on areas that have a lot of cellulose such as drywall, under carpets, in insulation, or in ventilation ducts. When you call the mold experts at H2 Environmental Consulting Services, you can trust that we will find every single spot in your home that has any mold growing in it. 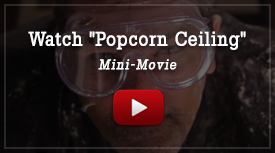 There’s no need to rip up carpets or hack into the wall to find mold. We use the most sophisticated modern technology, such as moisture meters and fiber optics that will find the sources of mold without disturbing your home at all. Leave the guesswork behind and use the mold experts at H2 Environmental Consulting Services—you won’t regret it for a second! Breathe easy, courtesy of H2 Environmental Consulting Services.